You wish to know and analyse the commercial offer, to segment the activities and to identify retailers' behaviours. You need to assess requirements and to identify development niches. These are many complex duties that go hand in hand with a profession for which know-how is crucial. 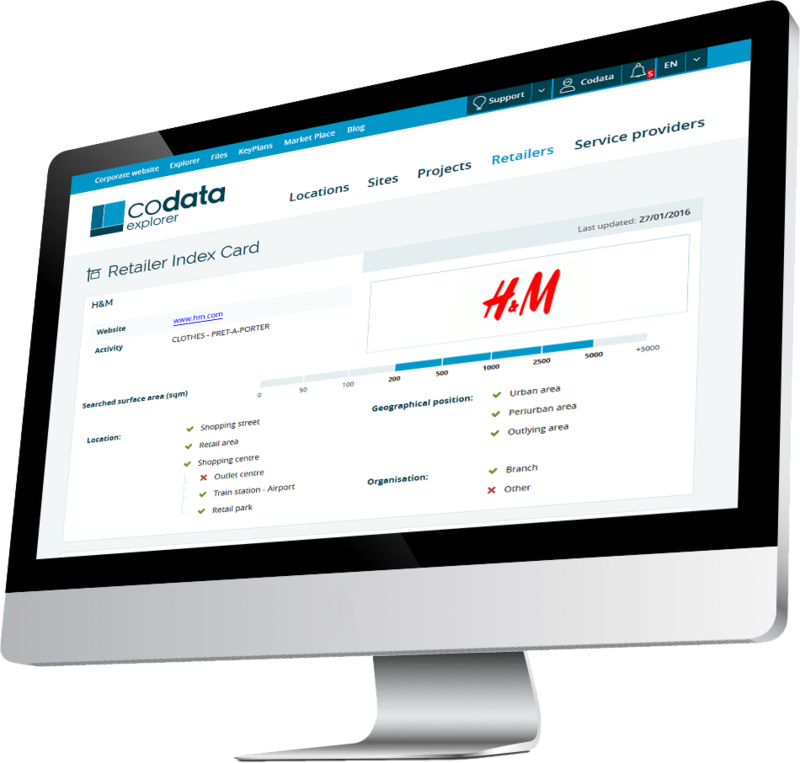 With reliable data and tools adapted to your needs, Codata enables you to quickly take the right decisions and to efficiently identify opportunities in due course. Each investment decision relies upon a preliminary study. You must thoroughly analyse the strengths and weaknesses of every commercial Site, present Retails, the attractiveness of neighbouring agglomerations, etc. Consult socio-demographic, economic and commercial statistics. 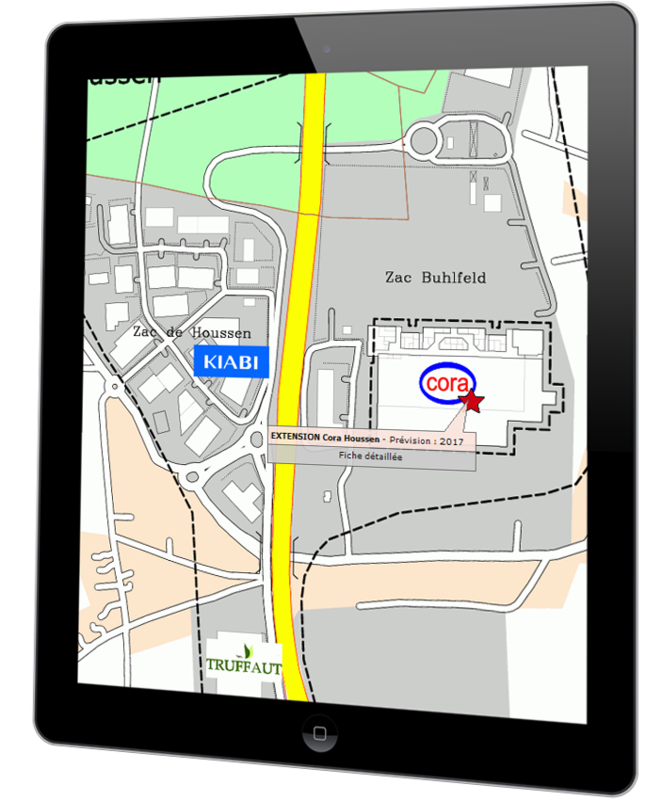 From your office, Codata tools and data enable you to consult each of the 7,700 Sites and the 700,000 Locations of the database. It is essential to identify and characterise commercial Projects before each investment decision to avoid bad surprises such as an incorrect assessment of the possible evolution of the local retail area. Know the progress of construction sites. With Codata data, don't miss any investment opportunities anymore and characterise them very fast. Each investment must meet a clearly identified need. In the commercial real estate sector, it is essential to conduct an analysis by activity to identify the potentials to exploit. 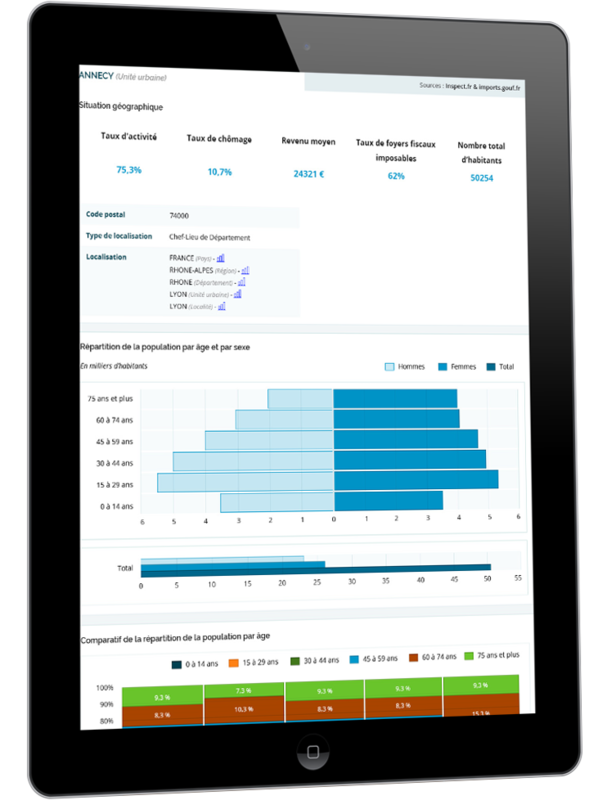 Compare local statistics with regional or national statistics. 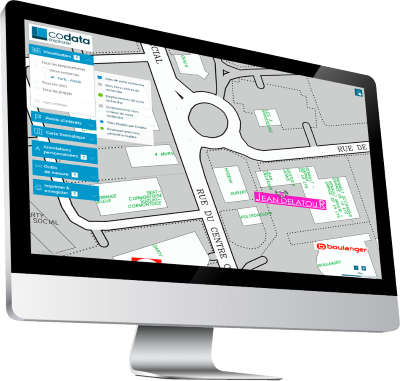 Codata provides you with the means to easily and quickly understand the activities, the vacancy and occupancy rates of one or several Sites. And this in ten European countries. In the commercial real estate sector, the return on investment depends on the rents that will be perceived. It is thus crucial to know which Retailers and distribution chains might be interested.